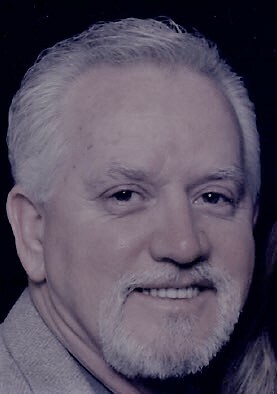 Benny Rann Whisnant, age 72, of Lula, GA passed away Wednesday, April 10, 2019 surrounded by his family. Born in Valdese, North Carolina on December 22, 1946, Ben was known for his big heart, and his handyman and woodworking skills. He could fix anything and everything and he was affectionately called “MacGyver”. Most of all, though, he loved his family. His very large extended family were his pride and joy and his love for them was fierce. Ben was a proud veteran of the United States Marine Corps. Ben is survived by his wife of 33 years, Robin; his children, Teresa Young, Crystal Graves and Timothy Whisnant; his brother, Earl Whisnant; and his sisters, Jean DeJesus and Renee Monahan; five grandchildren, Colby, Haley, Trace, Kara and Aaron. Ben also had a very large extended family that loved him deeply, and countless friends. A Celebration of Ben is scheduled for 2:00 PM Saturday, April 13, at Hillside Chapel Funeral Home, 1190 McEver Rd., Gainesville GA 30504. The family will receive friends at the funeral home prior to the service from 12 Noon until service time. Graveside services will be held at 4:00 PM at Silver Shoals Baptist Church Cemetery, 127 Silver Shoals Road, Lula GA.
Military Honors will be provided by the Veterans Alliance Honor Guard. Refreshments will be served in the fellowship hall after. In lieu of flowers, Ben has asked that donations be made to the Wounded Warrior Project (https://www.woundedwarriorproject.org). You may give anonymously or in Ben’s name.